Not only can you use social media to find a target audience and introduce them to your brand, you can also use your social platform to nurture leads through a carefully planned engagement strategy. In this post, we’ll discuss how to build your business’ social media presence. Let’s get started. Who are your ideal customer personas? Define them by demographics, behaviors, and similarities to your current ideal customers. What type of content do you need to create on social media for that person? What type of posts would they be most likely to interact with? On what platform do they spend the majority of their social media time? Start with the big five: Facebook, Instagram, Twitter, YouTube, and LinkedIn. How often will they enjoy interacting with your content on social media? Some audiences prefer daily content. Others prefer seeing you in their feeds only once a week. Every business has a voice. Your voice may be professional or it may be plucky. Whatever communication style you choose, remember that it should resonate with your audience. Also, remember that you’re writing for the Web and not a peer-reviewed journal. On social media, your voice can be more casual. Remember to be consistent with your voice. It should sound similar to the content on your blog if you have one. A wild deviation in voice and tone from your other content will be confusing to your audience. One of the most important things you can do to build a community on social media is to post on a regular schedule. Posting three times one month and 15 times the next month is a recipe for disaster. Your audience will grow weary of your erratic posting schedule and eventually disengage. Because of inconsistent posting, you’ll cheat yourself out of regular readers. This creates a vicious cycle which often leads to decreased exposure. For example, Facebook uses post interaction to determine exposure. Facebook may only show your post to a select group of followers. If your post doesn’t receive a lot of interaction because your audience isn’t looking for it, Facebook won’t show it to the majority of your followers in their news feed. That’s bad news. The good news is that you can create an editorial calendar and post on a regular basis. Creating a theme for different days of the week can cause your audience to associate certain days with your business. For example, you can create a Feature Friday, where you highlight a case study from one of your customers. You can also do a Teach Me Tuesday, where you hop on a live video to teach a valuable skill to your community. Most of us are visual thinkers. This is the reason why images do so well on social media. Images have a way of cutting through the white noise of social media and grabbing the attention of your followers. Use images to add context to your story. Even if your product doesn’t lend itself to imagery (this is especially true for Software as a Service business), consider adding images of your customers or your team members behind the scenes. You can also turn quotes and testimonials into eye-catching branded graphics. These days, a lot of social media outlets have become “pay to play.” In other words, organic reach is down, and the best way to find your audience is to pay for exposure. While the days of truly free social media interaction for businesses are long gone, there is a huge positive here: Paying for promotion means that you get to choose exactly who sees your content. You can speak directly to the audience who’s most likely to convert into customers. Instead of spraying your message broadly to any and everyone, you can target your message to your ideal customer base. 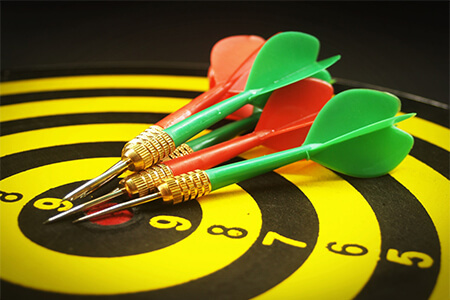 Targeted marketing saves a lot of time, effort, and money. Also, keep in mind that paying for exposure doesn’t diminish the quality of your relationships. By being able to target your message to a specific customer persona, you can create even more relevant content. The best way to target your audience is through paying for access. To get the maximum benefit from social media, you need to be social. Social media is not a monologue, it’s a conversation. When posting on your page, anticipate that someone will read it, and invite them to interact with your post. Don’t be afraid to ask your followers to interact with you on social– they may not think about it otherwise. To be successful in marketing, you must declare an attainable goal and then create a plan to make it happen. The same is true with social media. 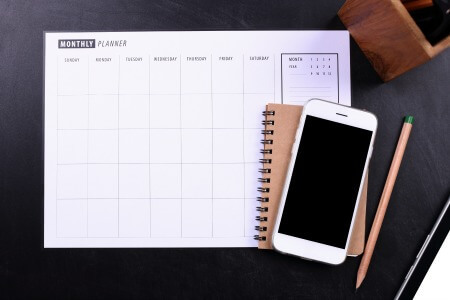 Because social media is an extension of your online marketing efforts, you need to go in with a plan. Plans should be focused and finite, not vague and open-ended. Specific – What platforms do you want to use and why? What do you want to accomplish on each platform? Brand awareness? Increased site visits? Build a social community? Measurable – How will you measure your progress? If your goal is increased site visits, how will you determine traffic origin? How many site visits will equal success? Achievable – Is your goal realistic? Are your target numbers achievable within the timeframe and budget of your campaign? Relevant – Is your goal worthwhile? How does your goal positively impact your business? Time-Based – When will you accomplish this goal? Don’t overlook the time-based part of S.M.A.R.T. It’s important to set goals that will expire at a predetermined time in the future. There’s no use in creating a S.M.A.R.T. goal for social media engagement if you’re not measuring your progress. How will you know what’s working otherwise? Building your social media presence takes time, careful consideration, and the ability to implement your plan consistently. Remember that you’re developing relationships over social media, and the goal is trust. People who trust you will do business with you. Use the above tips to lay a solid foundation on social media.